Die hier vorgestellte Pilotstudie untersucht im Rahmen einer pädagogisch-psychologischen Interventionsstudie die Struktur von Schreibblockaden auf der Grundlage der Theorie subjektiver Imperative. 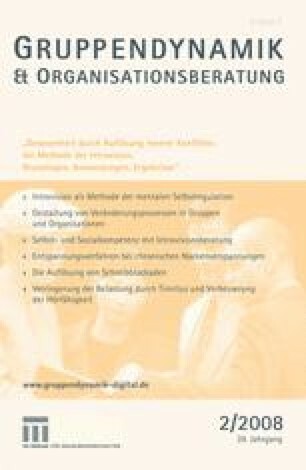 Die Pilotstudie hatte zwei Ziele: (1) zu erproben, ob sich Introvision bei Schreibblockaden anwenden lässt sowie (2) anhand von Fallbeispielen zu analysieren, welche subjektiven Imperative bzw. imperativischen Strukturen Schreibblockaden zugrunde liegen können. Sechs studentische Versuchspersonen (fünf weibliche, eine männliche) wurden individuell mit dem Ziel beraten, Imperierungsprozesse, die das Schreiben behinderten, zu beenden. Die Beratungsgespräche wurden aufgezeichnet und transkribiert, um sie anschließend auf Grundlage des Imperativtheoretischen Textanalyse-Verfahrens Satz für Satz hinsichtlich subjektiver Imperative, Konfliktumgehungsstrategien und Kernimperative auszuwerten. Die Ergebnisse zeigen Schichten von subjektiven Imperativen, beginnend mit Imperativen bezogen auf das Schreiben in der obersten Schicht. Bei allen sechs Versuchspersonen fanden sich in der untersten Schicht Kernimperative, die mit einer Form von Todesangst oder mit ähnlich existenziellen negativen Emotionen gekoppelt waren und sich vermutlich auch auf andere Lebens- und Persönlichkeitsaspekte auswirkten. The present pilot study explored the structure of writer’s blockades under consideration of the theory of subjective imperatives within an educational-psychological trial. The pilot study had two goals: (1) to test if introvision can be applied to writer’s blockades, and (2) to analyze by means of case studies which subjective imperatives respectively imperativic structures can form the basis of writing blockades. Six student subjects (five female, one male) were counseled individually with the objective of bringing an end to imperative processes that impede writing. The counseling interviews were recorded and transcribed first and subsequently analyzed sentence by sentence on the basis of the ‘theory of (subjective) imperatives’ text analysis method with respect to subjective imperatives, conflict dodging strategies (KUS) and core imperatives. The results revealed layers of subjective imperatives, beginning with imperatives related to writing in the topmost layer. Each of the six subjects showed core imperatives in the bottom layer that were linked to some form of fear of death or similar existential negative emotions and that presumably affect other aspects of live and personality as well.